As an author, you will inevitably have opportunities to sell your books to the public. It may be at the back of the room after a speaking engagement, at a trade show, a festival or other public venue. While it may sound simple to show up and collect money, there are some strategies that can help make the process more successful. 1. Apply for a resale license. 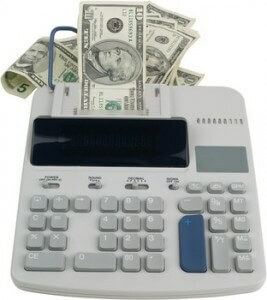 When you sell merchandise, you are required to collect and report sales tax. It’s not usually as complicated as it sounds. To apply, you will need to locate your local county sales tax office. A simple Google search for “resale license [county name]” should get you to right place to apply. Depending on guidelines for where you live, you may need to report sales tax to your local office monthly, quarterly or yearly. 2. Simplify your pricing strategy. Though you have to collect sales tax when you sell books at a local event, adding tax into the equation can complicate the process. Consider rounding up your retail price and then paying the tax yourself. For example, if the price of your book is $14.95, sell it for $15.00 or $16.00 and absorb the remaining cost of the tax. This will make it far easier for people to pay you cash and eliminate the need for you to make change. 3. Accept credit cards. It used to be difficult to process mobile payments. Years ago I had one of those manual card swipers with carbon copy receipts. If you used one of those today you’d violate privacy laws because you are no longer allowed to print the full card number on a receipt. But now you can use your smart phone and a free app from Square. The company will even send you a free swiper device that plugs in to the audio input on your phone or iPad. There is no monthly fee, though you will pay a nominal transaction fee, just as you would with any merchant service. Funds are automatically deposited in your bank account within 24 hours. Not accepting credit cards will cause you to lose sales—guaranteed. And giving up that small transaction fee should be considered part of the cost of doing business. 4. Bring a receipt book. Many buyers will want to pay cash, especially if you make it easy by rounding up your prices to the nearest whole dollar. Those same buyers will also appreciate having a receipt for accounting purposes since books can be considered an educational expense for some. You can purchase a simple receipt book at your local office supply store for just a few dollars, and then use a rubber stamp with your business name and address to imprint the top of each receipt. 5. Give a take-away. Let your buyers remember you by tucking something in the book. That can be a bookmark, postcard, business card or another piece of marketing collateral. 6. Offer bundles. People love a deal, so if you have authored multiple books, consider offering a discount when someone purchases multiple copies. For example, your books might be $15 each or three for $40. Make the bundle deal obvious by advertising it with a small sign posted on your table. Make your book available through Smashwords, a free ebook distribution platform which will convert your manuscript into over a dozen formats, including options for Kindle, Nook and iPad. Smashwords allows you to create custom coupon codes, so after you sell the ebook, you could provide the buyer with a coupon code for 100% off the retail price. If you go this route, you’ll want to print out some instructions for buyers who may not be familiar with Smashwords. Another option with Smashwords is for you to login to your account and choose the “Give as a Gift” option, which will allow you to email a link to the buyer. Amazon also has a “Give as a Gift” option, so after collecting payment from a buyer, you can login to Amazon, purchase the Kindle edition yourself and send the buyer an email with a download link. This also has a positive impact on your book’s overall sales rank on Amazon since each sale counts toward that number. 8. Expand your sales options. If you offer consulting or coaching services, make this option available at your sales table. Create an order form that lists your individual books, bundle options, and consulting options. This can be surprisingly effective, especially if you have just spoken at an event and dazzled the audience. Be sure to offer several choices, such as a single-hour rate, package of three hours, or a 6-month program. 9. Create a visually appealing sales area. Typically you will have a small table or even the corner of a table to display your books, but that doesn’t mean you can’t put in a bit of extra effort to make it appealing. Bring along book easels so that you can display copies of your books face out, instead of just stacking them up. You should also display business cards and some marketing items, such as flyers or postcards. If there is room, feature a small bowl of candy or something that will spark conversation with people. When my book LEAP! 101 Ways to Grow Your Business was released, it featured a frog on the cover. I ordered inexpensive frog merchandise from Oriental Trading Company, so people who visited my table could choose a frog keychain, a frog sign holder, or a frog coin purse. These silly little items made people smile and hopefully helped them remember me later. 10. Collect email addresses. You should always be working to build your mailing list, and one easy way to do that is to hold a drawing and give away a copy of your book. I often do this while speaking. Mid-way through a presentation, I will pass around a gift bag (these are easy to pack and transport) to collect business cards and offer to give away a book at the end of the presentation. You can also place a bag like this on your table with a small sign promoting your offer to “raffle” off a book or other prize at the end of the day. 11. Engage potential buyers. Though it may be uncomfortable to sit at a table and feel like you are peddling your books, make the most of the situation and have fun. Greeting people with a friendly “hello” and a smile can go a long way. You don’t need to push your books; instead, spark up a conversation by asking about the visitor questions like “What do you do?”, “Are you in from out of town?”, or “Are you a reader?” A casual conversation can lead to a book sale even if the buyer isn’t interested in your books because she may think of someone she knows who could benefit and end up purchasing copies as gifts. 12. Be ready to autograph your books. Though signing your name isn’t exactly tricky, you should think through how you will execute autographs. Ask the buyer if he wants the book addressed to him, and then confirm how to spell his name. Plan a quick salutation in advance to personalize it, such as, “It was great meeting you at XYZ event!” You can close it out with something simple like “best wishes,” or you might make it more unique: “wishing you eternal happiness.” If there is a line of people waiting, you’ll want to keep it brief so plan what you want to say in advance. And don’t forget to bring along a nice pen! 13. Plan for photos. Often times buyers will ask to take a photo with you. Don’t let this catch you off guard! If for some reason you aren’t comfortable with photos, it’s perfectly fine to say so. I recently heard an author announce to the group in advance that she feels like a little piece of her soul goes with her whenever someone takes her photo, so she politely alerted the audience that this wouldn’t be an option for her. And if you enjoy taking photos, then by all means, take one and know that it will likely end up on social media and in the internet world forever. 14. Come prepared. I keep an inexpensive rolling suitcase stocked and ready to go for events. It contains my books, marketing collateral, book stands, business cards, a bag for collecting business cards, a table cloth, pens, tape, small signs in plastic sign holders, and paper in case I need to make a quick sign. When I return from an event, I re-load any items that may be running low so I don’t have to scramble to prepare for the next event. If you plan to participate in a lot of events, I highly recommend this strategy! 4 Comments on "How to Handle Selling Your Books at Events"
Wonderful as always, Stephanie. Just what I needed to read as I plan for my launch party! Some people will not want to take the time to buy or ‘sign up’ at the event. Always offer an “event special’ on a flyer or card that you can hand them that sends them to a page on your website that gives them a discount for 5 or 10 days after the show. Put some number on the flyer (like 04202014 … which is a ‘date’) and have them read back or email you the discount code so you know it is legit. These reminders are so helpful! Thank you for such easy to follow advice.